Yesterday we celebrated the end of a fantastic second edition of the Batumi Bird Festival 2013. 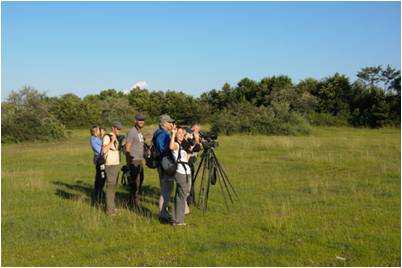 This event, at which we explored the different aspects of birding around Batumi during a 5 day program from 3-8 September 2013, was a great success. We had over 100 participants attending various activities, excursions and lectures. With a highly diverse set of nationalities, there was great interaction and atmosphere was warm. Both the participants staying at the BRC guesthouses and at the Oasis hotel had a comfortable stay. And with the opening of our new office in Batumi we established another landmark in BRC's history. Birding highlights included amazing Honey buzzard migration on the first day, with almost 50.000 individuals counted over station one alone. To see an impression for yourself, check the movie from this day on youtube, made by Zacke! 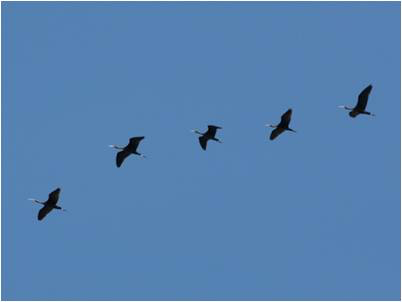 Part of this flight was also observed by the other group, who was birding in the Chorokhi Delta. They had high quality views of flocks crossing the river mouth and gaining height over the fishponds. On the ground, excellent views were obtained on several Little Crakes and Broad-billed Sandpipers that were around, in addition to multiple other goodies like Glossy Ibis, Rosy Starling, Citrine Wagtails, Collared Pratincole, Lesser Grey Shrikes, Short-toed larks etc. A Corncrake that flushed in between the group was a lifer for a few. One group who birded the river bed even located a group of 4 Terek sandpipers. The second day was very rainy, and raptor migration was likely to be slow. So it was decided to go sea-watching. From a beach club just north of Makhinjauri, we comfortably installed us on the sheltered terrace and watched what came in from the sea. It proved to be very productive: several Nightjars were seen flying in from the sea, surprisingly also one Scops Owl, and among the many gulls Armenian Gull was seen. The harbour area proved full of migrants, worth to mention are Booted Warbler, Black-eared Wheatear and flock of Night herons. The trip to Mtirala National park on the next day had good weather, and during the walk we focused on the stunning subtropical lush vegetation of this well protected botanical hotspot. Many of the plants encountered there are very range restricted. We also succeeded in locating the endemic Caucasian newt, and participants were lucky to observe the Krüper's Nuthatch. Another group decided to stay in the village, and get up to the raptor watch point to see some migration. The weather was not perfect, but in the late morning it began to clear. 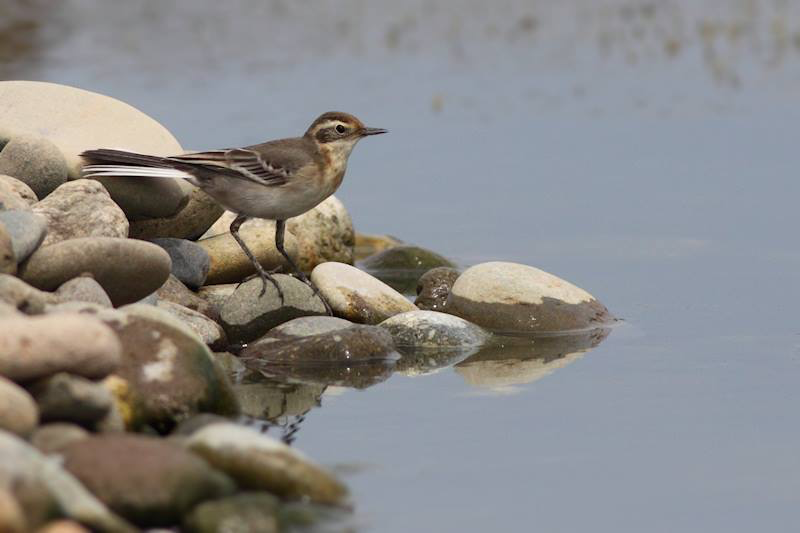 Some passerines started to migrate, as Tristan Reid reports: "a few Ortolans, Greater Short-toed Larks and a tree full or Golden Orioles were seen. As the weather became warmer, the first of the raptors appeared along the coastal strip below us. Marsh Harriers and Montagu’s Harriers appeared first and then there was a few small groups of Honey Buzzards. Black Kites appeared in small numbers as did a couple of Steppe Buzzards. A couple of Levant Sparrowhawks with a few Eurasian Sparrowhawks was a fantastic sight as were Hobby and a single brookei Peregrine and five Rollers! An Osprey was also a nice bonus!" On Saturday migration started slowly, but around noon it picked up and big streams started flying inland. The participants were happy to be on our easternmost station to see them up close. Many Montagu's and Pallid harriers were among the flight, and the third Crested Honey buzzard was seen! From the station, we had good views on Green Warbler as well. The evening lectures at the Oasis hotel were attended by an nice crowd. Brecht Verhelst talked about the history of BRC, its monitoring and population trends. But especially the part on the growth, accomplishments and future prospects of the project were impressive. On the second evening, Johannes Jansen presented his work on the hunting concerns of the region. He highlighted the extent and impact of the shooting on migrating raptors, gave insight in the different opportunities to tackle these and introduced all on the tradition of falconry present in the area. Tristan Reid gave a great and inspiring talk on his project giving his arms to conservation, and his Walking for Wildlife project to support conservation in Turkey. The third evening, Jonathan Meyrav gave a very animated and fascinating talk on the long term monitoring and study of soaring migrants over Israël, and also touch upon their boarderless conservation work transcending the difficult political situation in the region. The last evening, we had the honor to have Rob Sheldon over, and he gave us a thorough overview of the Sociable lapwing conservation and the efforts on international flyway protection. The celebration banquet, held at the Oasis beach restaurant,was the culmination on the past week, and we enjoyed to much delicious Georgian food and drinks, with a party that will long be remembered. Thank you to all participants, volunteers and students who participated. Thanks to the bird guides, guesthouse owners and drivers. Many thanks to the lecturers, to the organizing committee, and especially to Alex Rukhaia for all the hard work. Our gratitude goes out towards the Department of Tourism and Resorts of Ajara for the support! We are now underway on the extension tour towards Kazbegi, a report on this additional trip can be found here.